Wisconsin Greens have endorsed 9 candidates in local government races for the election coming up on April 2nd. We have a great opportunity to elect community leaders who share our values of peace, justice, democracy, and ecology - but only if we do everything we can to help them win. Please contribute to our Elections Fund today to help us continue our record of electing Green-endorsed candidates to local office! Generous Green donors will match the first $1000 in contributions! All contributions will go to help our endorsed candidates reach voters with literature, advertising and other critical outreach to get out the vote. Your next voting date and location. Satya Rhodes Conway served on Madison’s City Council for 6 years, and has spent 13 years working with mayors across the country as Managing Director of the Mayors Innovation Project. Her campaign has emphasized affordable housing, expanded public transit, racial equity, and resilience to climate change as priorities. She has the values, know-how and experience to make Madison a national leader in progressive policy. Learn more about Satya Rhodes-Conway and how you can support her campaign at her website. 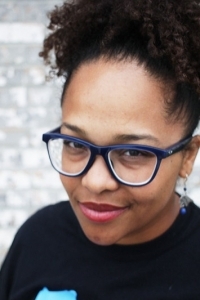 Ali Muldrow has spent years working to make Madison schools safe and equitable for all, and now serves as Co-Director of the Gay-Straight Alliance for Safe Schools. Her platform focuses on safe and healthy schools that are welcoming, inclusive, and offer daily opportunities for creativity. Learn more about Ali Muldrow and how you can support her campaign at her website. Ananda Mirilli has spent her career working to bring equity and inclusivity to Madison schools, as President of the Latino Education Council and through her involvement in Madison College, the WI Department of Public Instruction, and the Badger Rock Neighborhood Center. She is running to increase student access to mental health services, address violence while reducing racial disparities, improve work environments and increase family engagement in education. Learn more about Ananda Mirilli and how you can support her campaign at her website. 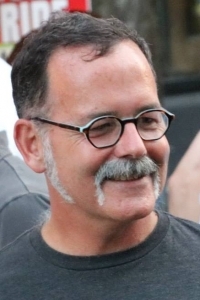 Patrick Heck is a climate researcher, chair of the Tenney-Lapham Neighborhood Association Development Committee, and member of Madison’s Zoning Board of Appeals. His campaign has emphasized affordable housing and appropriate development, preparing for climate change, sustainable water management, and improving public transit as well as bike and pedestrian options. Learn more about Patrick Heck and how you can support his campaign at his website. 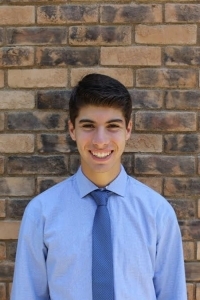 Matthew Mitnick is a UW student with a background in community advocacy for housing as a human right, environmental sustainability and participation in local government. His platform emphasizes affordable housing, revitalizing neighborhood associations, flood prevention and sustainability, improving public transit and pedestrian friendly streets. Learn more about Matthew Mitnick and how you can support his campaign at his website. Diane Farsetta has spent 25 years in Madison as a reporter, teacher, grassroots organizer and researcher, recently serving as Co-Chair of Wisconsin Network for Peace and Justice. She is running to increase quality affordable housing, address racial disparities in employment, poverty and policing, and improve public transit and bike/pedestrian infrastructure. Learn more about Diane Farsetta and how you can support her campaign at her website. Grant Foster is a dedicated community activist serving in such organizations as Eastmorland Community Association, Madison Bikes, Nuestro Mundo Inc., Lapham-Marquette Parent-Teacher Group, and Madison’s Pedestrian, Bicycle, Motor Vehicle Commission and the Long Range Transportation Planning Committee. He has developed a detailed platform for his district focusing on livable neighborhoods and communities, sustainability and environmental health, and communication and public engagement. 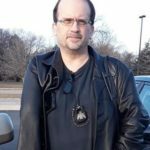 Learn more about Grant Foster and how you can support his campaign at his website. 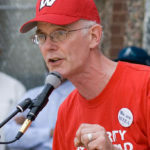 Bob Peterson has spent almost 40 years working to improve public education in Milwaukee, as an award-winning teacher and former President of the Milwaukee Teachers Education Association. His campaign is calling to defend and transform our public schools, demand the funding our children deserve, ensure smaller class sizes, provide k-2 early childhood education for all, decrease time spent on standardized testing, end the school-to-prison pipeline and more. Learn more about Bob Peterson and how you can support his campaign at his website. Adam Kassulke is a longtime educator who is running for Greenfield School Board to make sure that students, teachers and parents all have a voice in the system. He is campaigning for improved safety measures and access to mental health services, greater mentoring opportunities and community partnerships, and growing art, music and tech education programs. Learn more about Adam Kassulke and how you can support his campaign at his Facebook page. Please give what you can today to our Spring Elections Fund to help continue our record of electing Green-endorsed candidates to local government offices, where they make a real difference in our communities and show Green values of grassroots democracy, nonviolence, social justice, and ecological wisdom in action. Remember: we are the ones we've been waiting for!